As you know or you may have tried there are various ways to learn new languages. For example you can use different books , attend different classes watch movies with that language and so on. 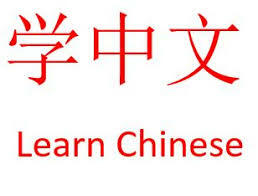 On of most helpful methods to learn new languages such as chinese is talking to native chinese speakers. There are some websites such as CityMity Penpals that help you to find chinese native speaker as talk to them as a penpal or foreigner friends. You can start talking to them as easy as saying “Nihao” 🙂 For sure there are many interesting topics for you to talk about and share your experiences about them . You can talk about your city , your tarditions , your travels and share your travel photos , your local foods and even about your favorite movies and TV series. At start it may be a little hard to keep a conversation in chinese language exchange if you are just a begginer , but step by step you will learn more and more chinese and improve your skills. Your foreigner friend or chinese native penpal friend will also help you improve your mistakes and become more convenient with chinese language. I hope you can find good penpal friends and improve your chinese skills.